It can lay claim to being the most remote 20th annual White Balloon Day event in the country, with the small island community of Groote Eylandt in the Gulf of Carpentaria taking on Australia’s biggest child protection challenge. Groote Eylandt & Milyakburra Youth Development Unit (GEMYDU) will host a two-day event (Sept 9-10) on the island, home to the Anindilyakwa people, who speak the isolated Anindilyakwa language. The organisation’s youth development officer Louise Kerr, became aware of Bravehearts and its Ditto’s Keep Safe Adventure Show, following a remote education expedition by the Cairns team to the Gulf in 2015. 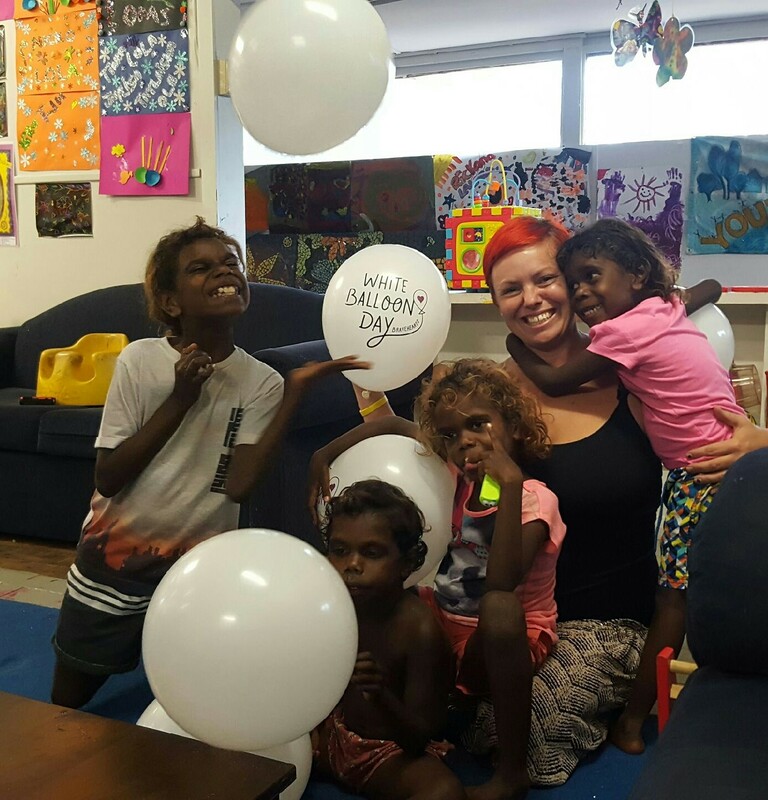 “I wanted to know more and to get involved and that’s when I saw White Balloon Day on Facebook,” says Louise, whose White Balloon Day events will take place about 50 km from the Northern Territory mainland and eastern coast of Arnhem Land, and about 630 km from Darwin, opposite Blue Mud Bay. “On the Friday we are hosting a community cake stall with a jumping castle and there will be face painting, a white balloon stall and lots of fun for the kids. We will also go into the communities with the CWA and hand out clothing packs and books to the young ones. Louise says the youth counselling service on the island is unique, where counsellors use musical instruments to communicate. “A counsellor will ask questions and the kids respond with a beat of the drum, using their rhythms,” says Louise. Local police will also be involved in the events to talk to families about personal safety for children. GEMYDU will join thousands of children’s champions across Australia on September 9 in the campaign which invites schools, organisations and everyday people to take Australia’s Biggest Child Protection Challenge at whiteballoonday.com.au. Money raised throughout the campaign will go towards education and training programs as well as specialist support for kids and their families. Funds raised in 2015 helped to educate around 106,000 kids with personal safety and support 3750 kids and their families with specialist counselling services. Country Women’s Association volunteers will join us and sell brand new linen (a much sorted for item) at cost price to the local people. GEMYDU councillor will be walking around letting the children and parents know of the drumming counselling technique and handing out contact details.